Price are based on per person per package. Diver Package Includes 3 Daily boat dives at Mataking / Pandanan / Bohayan / Kelapuan / Timba Timba / Pom Pom with experince guide provided & unlimited shore buddy dives without guide . Tanks ,Weight and Belt is provided . Below 12 year is 50% from the price and share with parents. Below 4 year is 30% from the price and share with parents. Below 1 Year is Free Of Charge . Excluding Sipadan Entry Permit is RM40.00 per person and valid for 1 Day only. 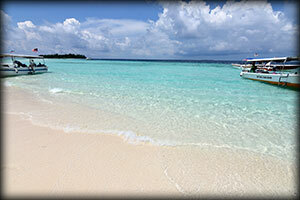 For Sipadan trips ,advance notice is required at least 1 month before arrival date.